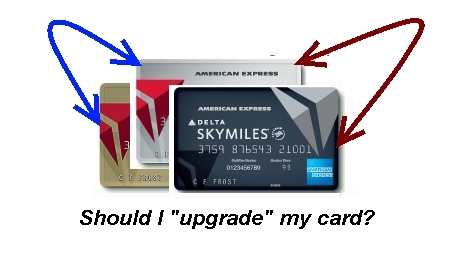 Should you ever “upgrade” your current Delta AMEX card? Hi Rene, I thought I would share with you the Delta AMEX upgrade nightmare I am going through at this moment. Apparently, there are internal rules that neither Delta nor AMEX will release governing the procedure for upgrading cards. As you suggested before, I have called 5 times, endured 3 ½ hours of frustration and gotten different answers each time. Day 1 : – I spoke with agent A. My AMEX Platinum spend is currently $54K and I just received my 10K MQM boost. If I spend an additional $6K and and upgrade to Reserve, I will earn additional 15K MQMs. Annual fee credit for Platinum will be prorated for unused months, annual fee for Reserve will be prorated until card anniversary date. AMEX gift card purchases do not qualify for spend. Day 3: – Spoke with agent B. AMEX gift card purchases do quality. My second AMEX Biz. Platinum employee card will remain Platinum with no additional annual fee. If I upgrade the employee card to Reserve it’s a $175 fee. Day 19: Call #1 – I was ready to upgrade today. Agent C at AMEX says I won’t get new Reserve card and security number until after year end and so cannot earn any spend toward Reserve threshold for current year even though account number does not change. I should wait until January which means I won’t get additional Reserve MQMs for current year. Annual fee credit for Platinum will be prorated for unused months, annual fee for Reserve will be prorated until card anniversary date. I hang up and call back. Day 19: Call #2 – Called back and got agent D at AMEX. Agent D shows my current applicable spend at $54,101 while my on-line statement spend shows $55,003. Card upgrade takes 24 hours and then I can start spending on it; do not need to wait to receive physical card. Not all charges count toward spend, such as the card annual fee, prepaid cards, etc. Agent D points me to online cardholders agreement for Platinum card, and on page 3 “How you receive miles” it says purchases of or reloading prepaid cards or cash equivalents are not eligible purchases. I asked to confirm with supervisor. Day 19: Call #2 continued – Supervisor A, agent E. Platinum AMEX spend above $50K threshold does NOT apply to Reserve card threshold. You must start all over again with the new card. I asked where to find this information and supervisor A, agent E claimed to be reading an internal AMEX document that could not be shared with me. Advised me that it would be best to wait until after first of the year. Day 19: Call #3 – Called Delta Diamond line and asked for internal Delta desk that deals with AMEX. Agent F read me Delta’s policy that said miles can be carried over from Platinum to Reserve spending threshold. Unfortunately, agent F cannot share that language as it is part of Delta’s Knowledge Management System. Agent F suggests I contact Delta Customer Care in ATL to get it. Day 19: Call #4 – I speak with agent G in Customer Care. Agent G says they have no information about credit cards and I have to call AMEX. Agent G offers to call them and get a qualified agent on the line. Day 19: Call #5 -Agent H is an angel! Agent H confirms and emails me the AMEX language for each of my confusing questions. Differences between spend-to-date amount from AMEX reps and AMEX web is that reps only show charges that have been posted to the most recent statement, and not new charges after the statement date. Whenever a Cardmember upgrades within AMEX Delta products, any spending that has not already received a Miles Boost bonus will be carried over to the new product and be applied toward the next spending threshold. If a Cardmember has unbilled December transactions needed to meet the spend threshold, the MQMs will not be issued until the statement closing date in January but they will count toward the year that just ended on December 31st. Points / Miles / Rebates Cardmembers earn points, miles, and cash rebates for Gift Card purchases made at retail locations. Points will not be earned if purchases are made online or at a TSO. Delta Reserve for Business Credit Card Basic Annual Fee: $450 (Reserve $175 – Additional Card color Steel Blue) (Platinum – No Fee). Product Upgrade from Delta Platinum to Delta Reserve – Annual fee of $150 is prorated and credited to account. Then, New annual fee of $450 is prorated for remainder of year until anniversary date. Upgrade Bonus: By upgrading from Platinum Delta to Delta Reserve you are awarded 10K MQMs with reaching $60K spending threshold and the additional 5000 MQMs as the upgrade bonus. I upgraded my card, and spoke with agent H’s supervisor to share how great agent H is! Thanks for this Bob! So there you are. It is not impossible to get a good deal, but you know YMMV. Also, at least 1/2 of all the above is just wrong from reps. For example, AMEX gift cards DO count toward your yearly spend as I buy a bunch of them each year. But what do you expect from phone reps with lots of bad info. ← Tonight’s Delta Points winner is…. Comment on the gift cards counting.. Was told yesterday they do not. Where might that be documented as all I can find is the note in Bob’s email about card loading etc. @MSP Bill – Not sure if it is in print as posted, I run a bunch each year. Have counted each year on all cards AMEX and Chase, but not Citi cards! Thought was to buy Visa gift cards with Delta Plat to handle the places Amex does not work but was told it would not count. Switched to Visa for Christmas shopping as could not make the spend without the gift cards. Be VERY PO’d at Amex if they would have counted. Rep gave me 2k miles yesterday for the confusion but does not do squat for the lost MQM’s. Thanks BTW for what you do. Great info. @ MSP Bill “- yeah but wrong. Buy AMEX all the time. I upgraded my AmEx from Delta Platinum to Reserve on January 1st last year. Thus no problem with spend allocation. Since it had been a couple of years since I got the Platinum I was eligible for and received the entire Reserve MQM signup bonus. Yes I can see there are ways this can go wrong, but it doesn’t have to. I like keeping one card with a decent length of history, and for now it’s this one. I’ve just been through similar discussions with Amex, and what Bob was initially told doesn’t really make sense. At $54k spending, he’s $4k over his last Platinum bonus (10k MQMs at $25k and $50k spending). Given the above, he has to get to $80k spending (additional $30k) to make the first tier on the Delta Reserve card. If he spent the extra $6k as instructed, he’d only be $10k above his last Platinum tier — not enough for the add’l MQMs. @Rene I disagree. There are certain situations where it is beneficial, besides MQMs. For example, my companion cert was coming up so I upgraded one week before hand and was issued the upgraded reserve cert on my platinum card’s anniversary. Agreed. My only point here is that, with a bit of common sense, you should be able to sort through at least some of the [edit crud]. It makes no sense whatsoever that and extra $6k in spend (from $54k to $60k) would qualify for the first tier of Delta Reserve since that’s only $10k beyond his last Platinum bonus. 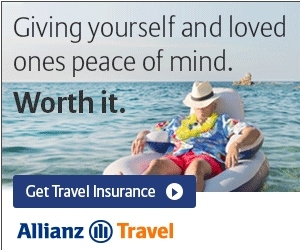 If it sounds too good to be true, then it almost certainly is. @Michael – there are a lot of ways to earn points that are seem too good to be true that are w/in the T&C of most programs. Txs so much for input! I just upgraded from Gold to Platinum. Couple reasons for me: 1) My bonus MQM’s and miles already hit my account – like within 72 hours. Crazy! 2) I know the Platinum will do me some favors when it comes to UG’s, especially as I move from FO to GM in early 2013. 3) I’m planning on sticking with the Platinum personal card from hereon out and then getting the platinum business card come middle of next year. We’ll see how this works out. Great post though. Good info to convince me to stay away from further card UG’s. Heh. Now I’m starting to see what you’re talking about. Called again tonight and was told that if you convert they basically bring you up to what you would’ve had if you’d had Delta Reserve all year — so, in my case, he says that since I’ve earned 20k MQMs for $50k spend, I’ll get topped up with another 10k MQMs, brining me up to 30k for the year since I’m over $60k spend (what I would’ve had if I had Delta Reserve all year long). From what I can tell from Bob’s saga above, this is similar to what he was told on Day 1, except they said he’d get 15k miles — and it’s the same as what he was told on Day 19 (10k for making it to $60k spend + 5k upgrade bonus). It’s enough to make your head spin! @Michael – again thank you for making my point. Never EVER upgrade. Just get a new card, first personal, then BIZ next year, rinse and repeat problem solved! Can someone please point me to a working upgrade link from Business Gold to either platinum or reserve? @Jeremy – why? You risk NO points. Just get the personal PLAT if you don’t have it yet! Upgrading is optimal in this scenario because I need a few thousand MQM’s for status and have already applied for other cards recently and don’t want another hard pull. Though, I can’t seem to find an upgrade link for the Gold Business card (the other one I did was for a personal card). @Jeremy – glad you got the points! Just never bank on upgrades points until they are there. Thanks. Do you have any idea where I can find an upgrade link for my business card? @Jeremy – no you can call but they can promise anything and you may get nothing.